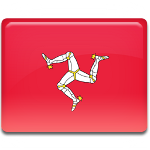 Senior TT Race in the Isle of Man is one of the major events, that is awaited by the islanders and tourists from all over the world. The day of race is an official non-working holiday. Senior TT (Tourist Trophy) traditionally takes place in the end of May or in the beginning of June. Since 1989 the race is organized by the Department of Tourism and Leisure as a festival. The race is always held on Friday, which is usually the first or the second Friday in June. The first Senior TT race was organized in 1911. Till 2012 the race wasn't canceled (except of cancellation during the two World Wars and foot and moth disease outbreak in 2001). In 2012 the race was postponed to Saturday due to bad weather and then canceled on the grounds of safety. A 60-kilometers (37.2 miles) racing track passes through the main streets and roads of the island and it's considered to be one the most dangerous tracks in the world. Due to extreme danger a part of the race was transferred to the UK in the 1970s. An average speed of modern race bikes is about 131,6 mph, the speed of the first race bikes at Senior TT was only around 47 mph.